Explore the pristine nature of the Swabian Alb by bike. You can even leave your bike at home if you let us know what kind of bicycle you would like to rent and we will set it aside for you early on. In addition to touring and mountain bikes, we also offer electric bikes and tandems. 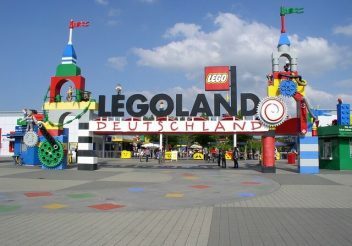 The Legoland Günzburg fascinates and enchants children of all ages. Numerous Lego brick installations and sculptures are guaranteed to offer visitors an amazing experience. And this is not all! The park is filled with roller coasters, boats, and rack-and-pinion railways that invite visitors on exciting rides. And the Legoland is located only a 45-drive from Hörners Landgasthof. 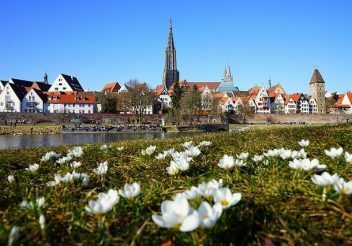 Ulm is possibly be the most Swabian city in all of the region and it is a figurehead when it comes to local culture. The architecture is beautiful and the historic buildings blend perfectly with modern parts of the city. Ulm’s cathedral tower, the tallest church tower in the world, is just a small part of the great historic treasure that is the inner city. In addition, Ulm offers many events, such as theater plays, ballet, and concerts. The famous health resorts of the Swabian Alb offer many baths with great tradition. 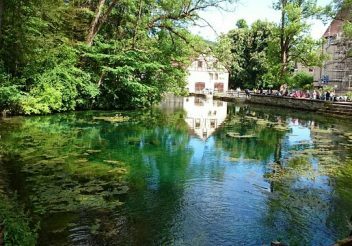 The two large thermal baths, Bad Überkingen and Bad Ditzenbach Beuren are both located only a 10-minute drive from Hörners Landgasthof. Relax and recover in hot and cold baths and regenerate your cells in the water of the healing springs. 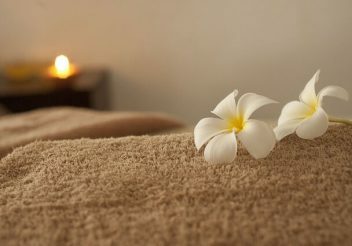 A most invigorating and wholesome experience – one of the most relaxing experiences possible! The Blautopf is a fascinating natural phenomenon that you will find nowhere else in the world. The small lake is the source of the “Blau” (German for blue), a tributary of the Danube. Technically, it is not a lake but the result of an ancient spring that supplies water to the Blautopf 20 meters under the ground. The Blautopf is known around the world for its extremely blue color, which results from tiny lime particles that mix into the water. 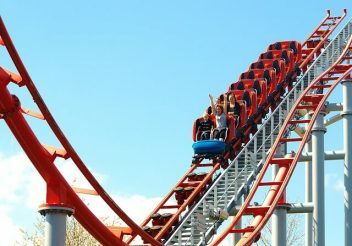 The Skyline Park close to Bad Wörishofen offers more than 60 attractions, making it one of Germany’s largest amusement parks. It is located just a 1-hour drive from the hotel. The park covers almost 39 hectares and includes numerous roller coasters, carousels, and other rides, such as the Sky-Fall. Of course, there is also a ferris wheel and nostalgic rides. A day at the Allgäu Skyline Park is guaranteed to make the entire family happy. You can reach one of the beautiful Albtrauf paths directly from Türkheim. 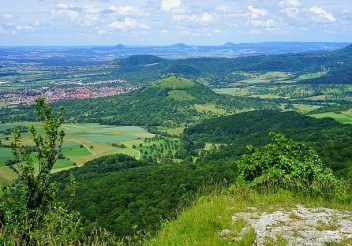 Explore the Swabian Alb with a great hike through forests and hills. And this is only one of many lovely hiking trails! Hike to the Geiselstein with your group. A barbecue with hearty dishes and cool drinks awaits you there. The local train between Amstetten and Gerstetten is a remnant of days long gone and is hugely popular among visitors from far and near. There are up to 7 dates for train rides per months, one of which features the historic steam locomotive. The museum locomotive and the diesel train, however, are also very interesting. 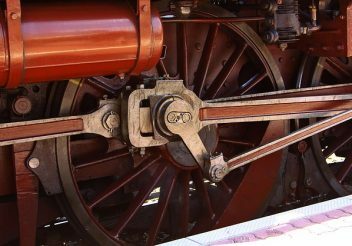 Those traveling with the weekend ticket or the regional day ticket for Baden-Württemberg can ride the museum train free of charge and get a discount for the steam locomotive ticket. The Tiefenhöhle Laichingen (Laichingen Vertical Cave) is one of deepest visitable caves in Germany and a real attraction. No wonder, since descending into the depth of the cave is an exciting experience for children and adults alike. 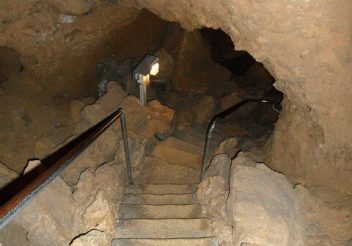 The impressive rock formations and the narrow path that leads visitors down 55 meters into the cave are especially attractive. It is advisable to wear suitable clothing and durable footwear for the descend, since the path is rocky and even in summer the temperature in the lower parts of the cave is as cool as 8°C. The climbing park in Laichingen is right next to Laichingen’s cave. It perfectly rounds off an eventful day trip to Laichingen, which is located 15 km from our hotel. 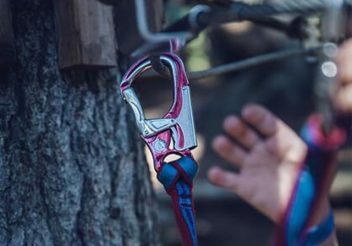 At the climbing park, experienced experts will teach you how to safely cross the beams and installations high up between the trees. By slowly increasing the level of difficulty, visitors learn to better cope with the hight.